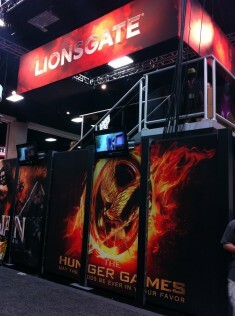 There’s sure to be a lot of Hunger Games love at this year’s Comic Con in San Diego. For those lucky enough to go, if they head to the Lionsgate booth they will get the chance to not only get a hold of exclusive Blu-Ray Disc box art cover but have it signed by some of cast. So who could you meet? Lionsgate has announced that Alexander Ludwig (Cato), Amandla Stenberg (Rue), Dayo Okeniyi (Thresh), Isabelle Fuhrman (Clove), Jack Quaid (Marvel) and Willow Shields (Primrose Everdeen) will be on hand to meet fans on Saturday, July 14 at 11:00 am and 5:00 pm. There will also be an exclusive Comic-Con Hunger Games poster at the Lionsgate booth across the four days of the convention. For the new issue of V Magazine, Drew Barrymore photographed seven Hollywood up-and-comers, including The Hunger Games’ own Isabelle Fuhrman and Amandla Stenberg. 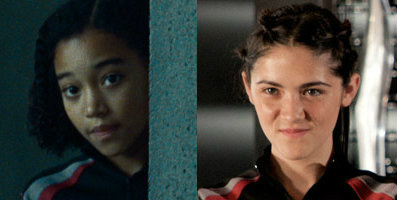 In the accompanying interviews, the actresses talk about their careers as well as their roles in The Hunger Games. 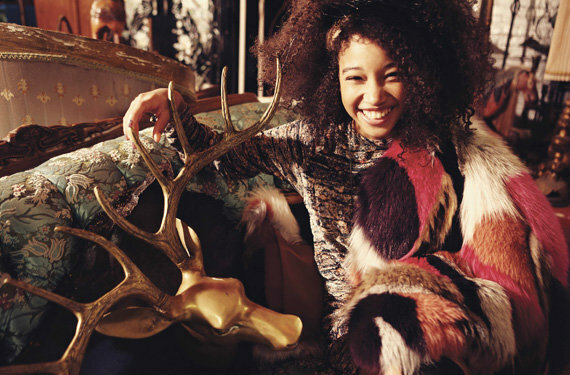 You can see more pics of Isabelle and Amandla, as well as the other five starlets featured in the shoot, at V Magazine. The CW Twin Cities sat down with some of the Hunger Games cast a few weeks back to talk about the movie. Josh Hutcherson, Jackie Emerson, and Isabelle Fuhrman talk about the expectations for the Hunger Games movie, why everyone loves the series, and the scenes they looked forward to shooting. Jennifer Lawrence, Amandla Stenberg, and Alexander Ludwig talk about their favorite scenes to shoot, the Hunger Games fashion, their strategies in a real-life games, and crazy fan encounters! 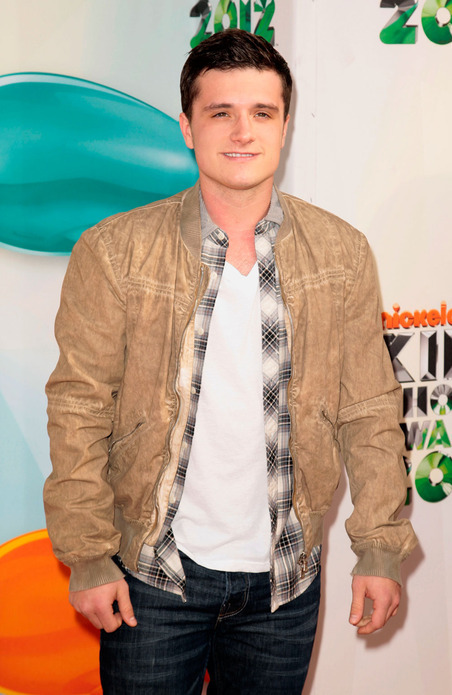 The Kid’s Choice Awards was flooded with Hunger Games stars yesterday! 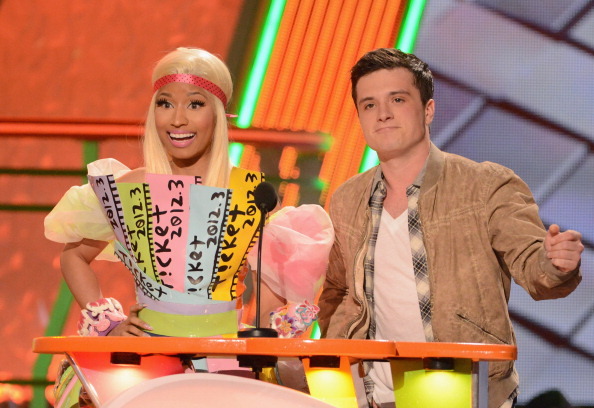 Josh Hutcherson presented the award for Favorite Music Group to Big Time Rush. Willow Shields got some slime splash from Halle Berry. 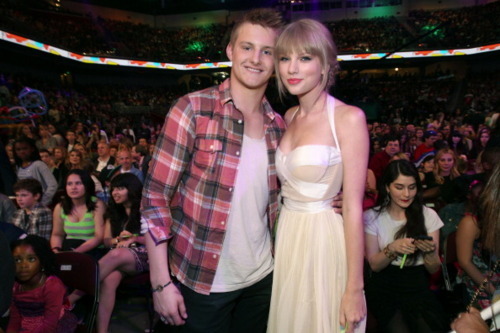 Dayo Okeniyi, Jackie Emerson, Alexander Ludwig, Isabelle Fuhrman and Amandla Stenberg along with Taylor Swift were also sighted on the Orange Carpet! You can read the full article at E! Online. Also check out our friend Kaleb Nation’s thoughts on the issue in this great video. 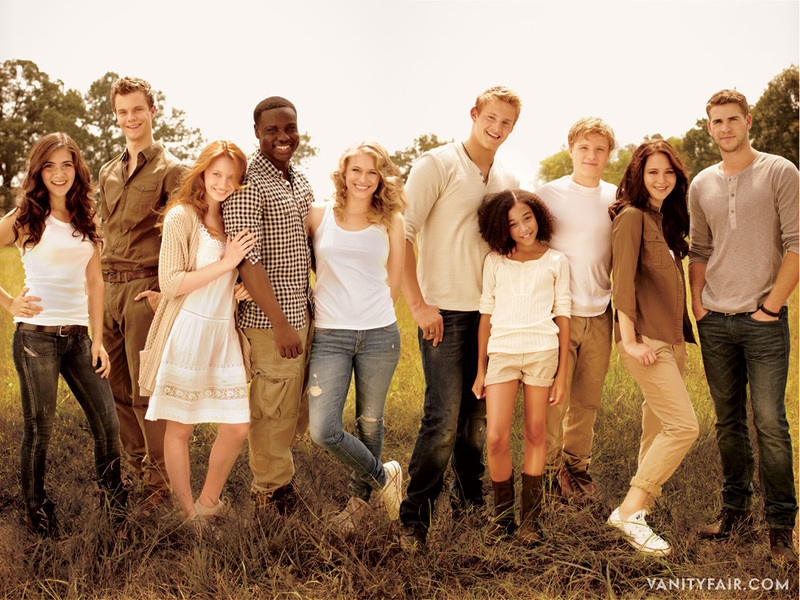 Young Hollywood recently chatted with both Amandla Stenberg and Dayo Okeniyi about The Hunger Games. Amandla on being a fan of The Hunger Games books, begging her agent for a Rue audition, her audition process, her fashion sense, pulling pranks on set and more. 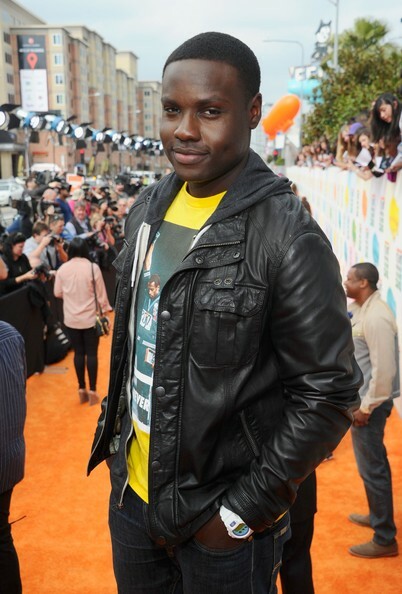 Dayo on his audition for Thresh, preparing for the role, working with Jennifer Lawrence and Josh Hutcherson and more. CNN is putting a spin on audience questions by allowing fans to upload a video of themselves doing the asking. Pretty cool, right? 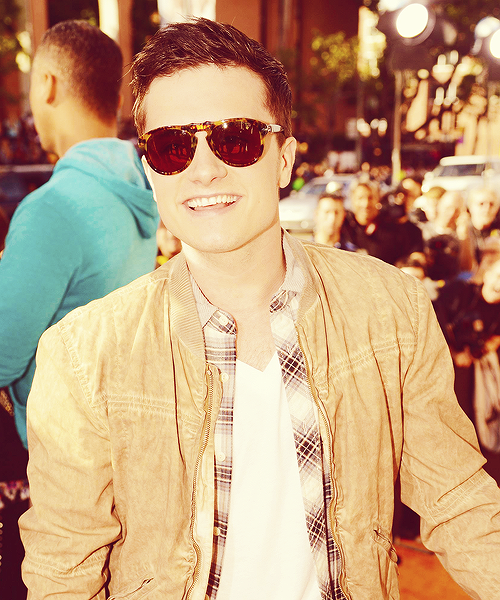 They’ll be interviewing Liam Hemsworth, Amandla Stenberg, Dayo Okeniyi, Leven Rambin and Jack Quaid. So, if you have a question for them, now’s your chance. You’ll need to upload your video by 12 pm ET on March 5th. If you do, the cast members might answer your question on CNN.com! It looks like you’ll have to register with CNN to submit your video, so head over to the site for more details. For their upcoming Hunger Games special issue, People magazine has a video feature with Amandla Stenberg talking about The Hunger Games set and working with Jennifer Lawrence.